Typically, I don’t want to post breaking news or anything unrelated to F31s. 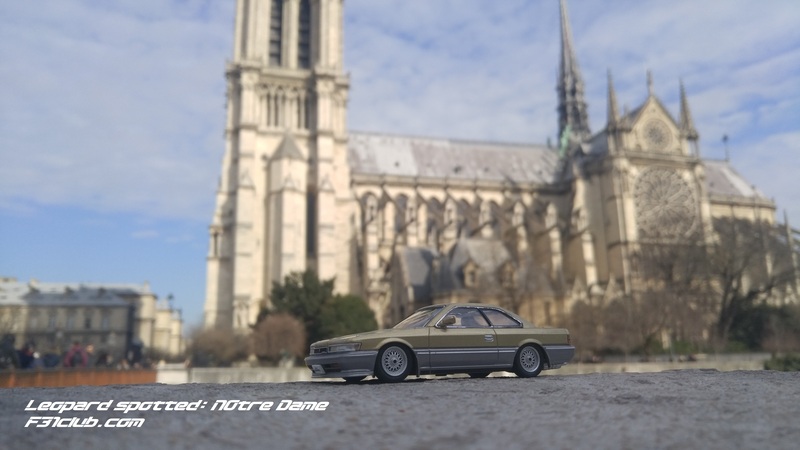 Last year, I was in Paris, and I took a picture of my mascot in front of Notre Dame. Part of Wandering Leopard is celebrating (or in this case mourning) places of significance. This entry was posted in blog, wandering leopard and tagged notre dame cathedral.